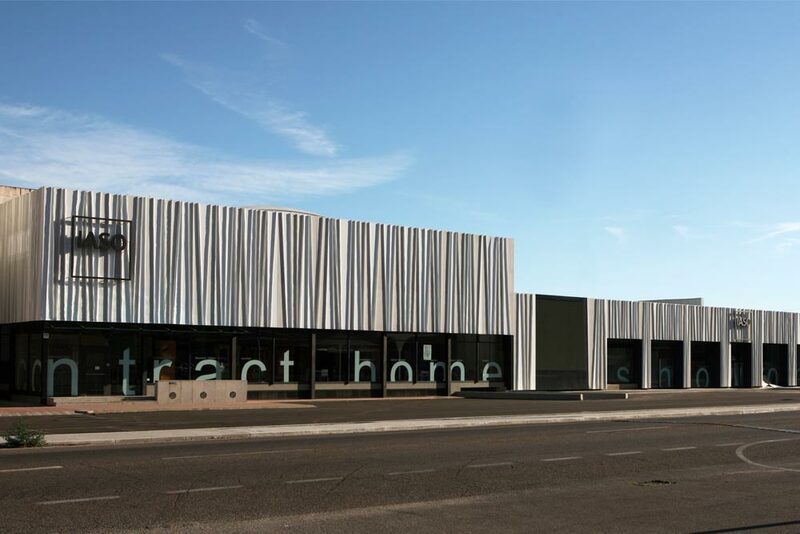 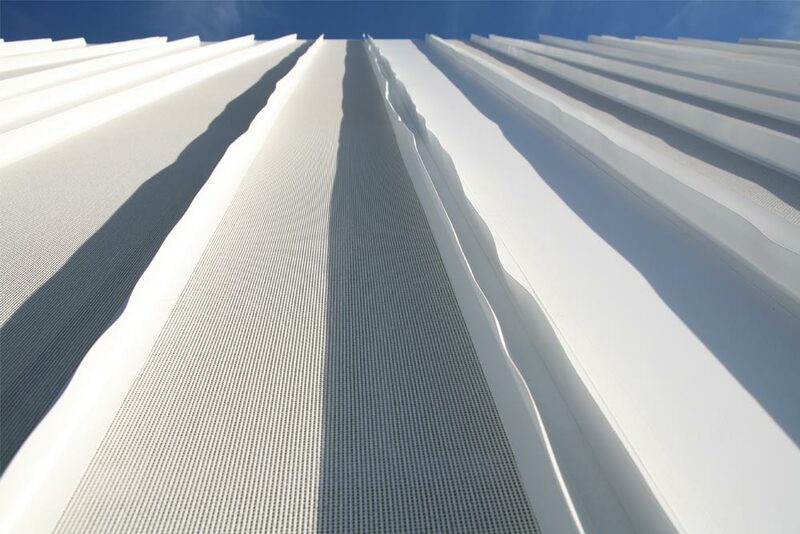 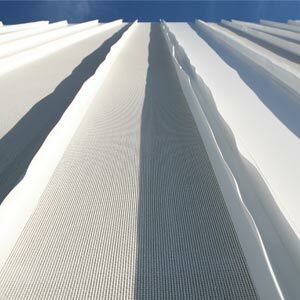 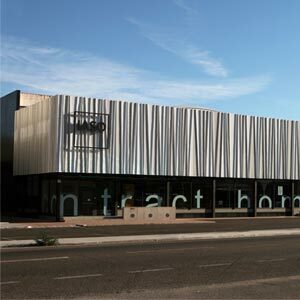 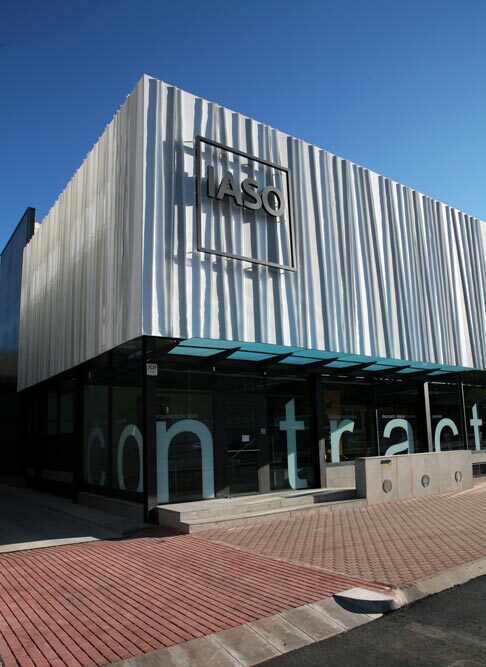 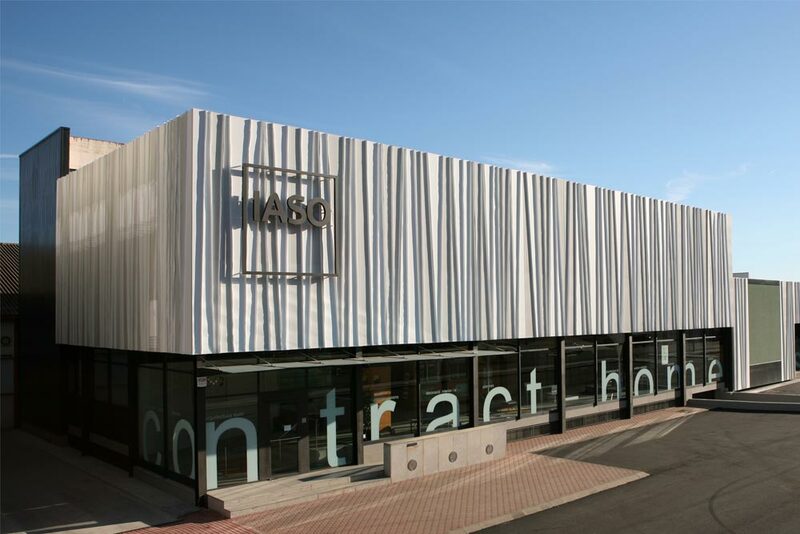 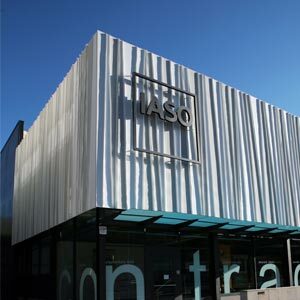 Integrated into the project to improve and expand the company's headquarters, IASO has renovated the facade using a system of i-tensing textile panels. 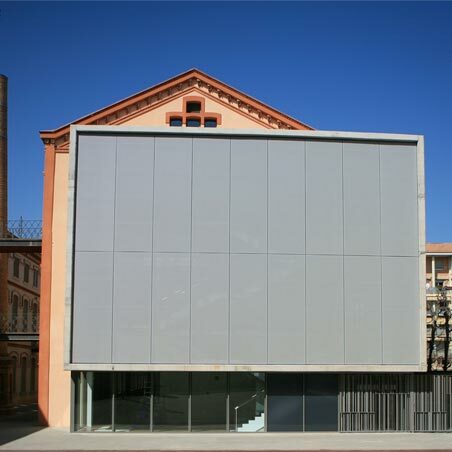 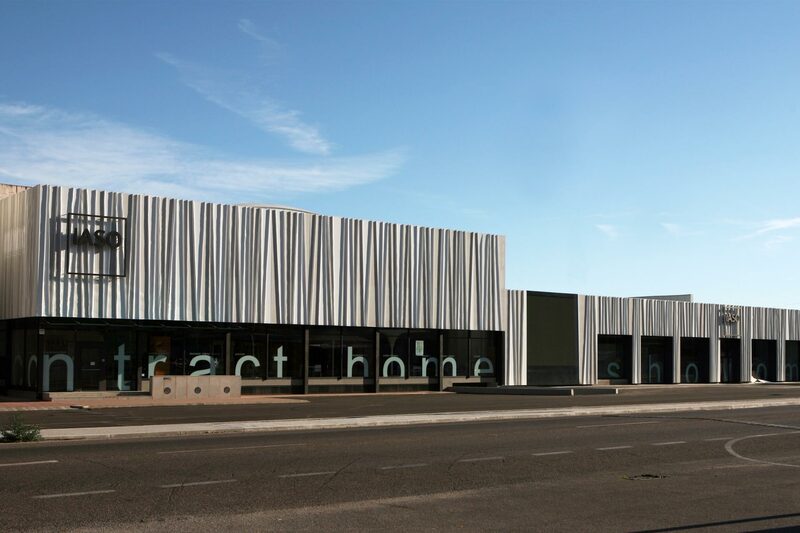 The aim was to improve the appearance of the building and thermal behaviour. 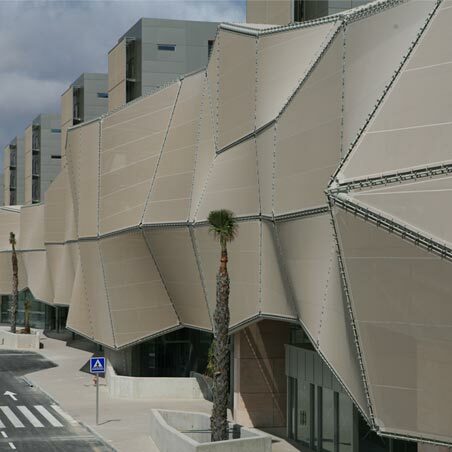 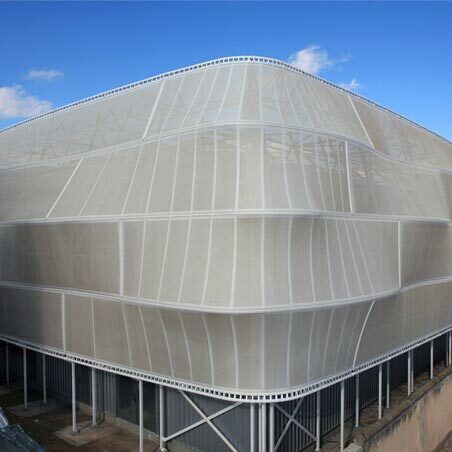 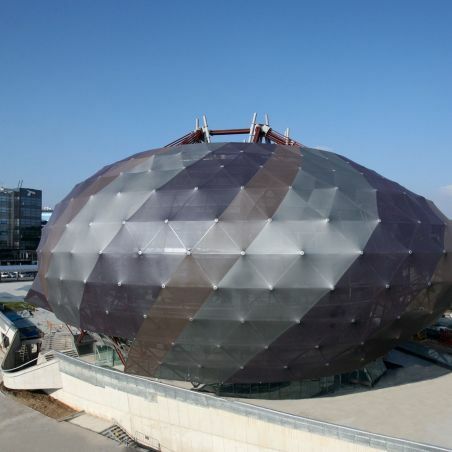 The modulation of the panels follow the rhythm of the building structure, while the membrane combines a latticed fabric and full material, as well as some vertical strips in a flap shape. 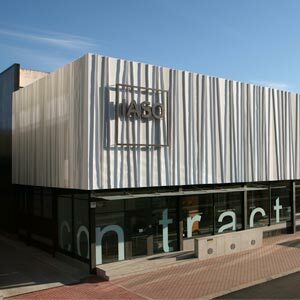 This has helped to give the building a new identity.